Village Media is excited to announce it is bringing you live coverage of Sault Ste. Marie city council meetings. Village Media [SooToday's parent company] is excited to announce it is bringing you live coverage of Sault Ste. Marie city council meetings. 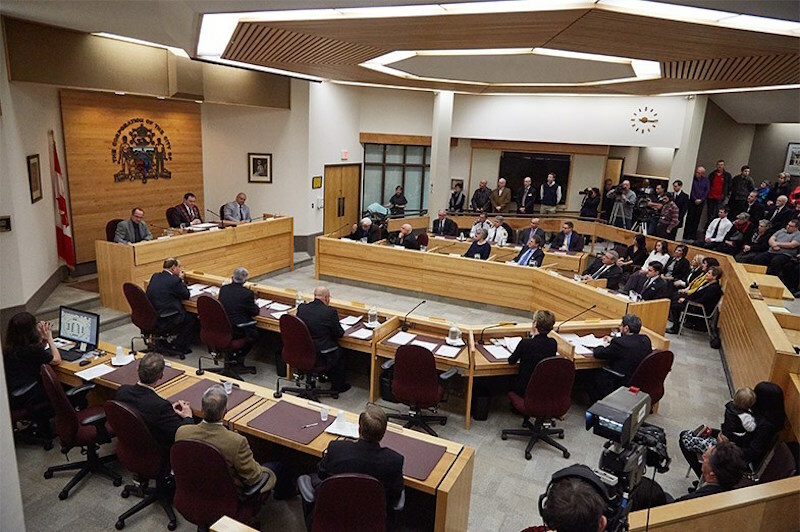 Beginning with tonight's regular council meeting, live video coverage from the Civic Centre will be broadcast on LOCAL2.ca. ShawTV Sault Ste. Marie will continue to bring you live broadcasts of council meetings on Channel 10. For the first time ever, council meeting coverage will be archived online so you can go back any time and watch it again. Live council coverage is the latest addition to LOCAL2.ca’s live video offerings, which have included election coverage, live press conference coverage, and live broadcasts from the Rotary Santa Claus Parade, Passport to Unity and Ontario Winter Carnival Bon Soo. Village Media is an expanding network of digital media news sites based in Northern Ontario, Canada. The company, which has a growing media presence across the region, includes the news sites SooToday.com, LOCAL2.ca, BayToday.ca, TimminsToday.com, and NorthernLife.ca, with Barrie coming in 2015. Village Media also operates five Internet radio stations through VMRadio.ca. For more information, visit: www.villagemedia.ca.